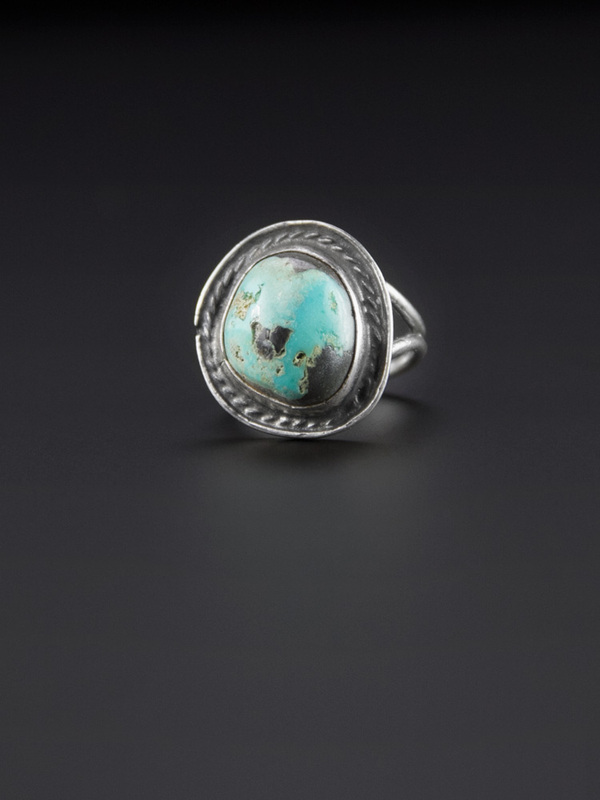 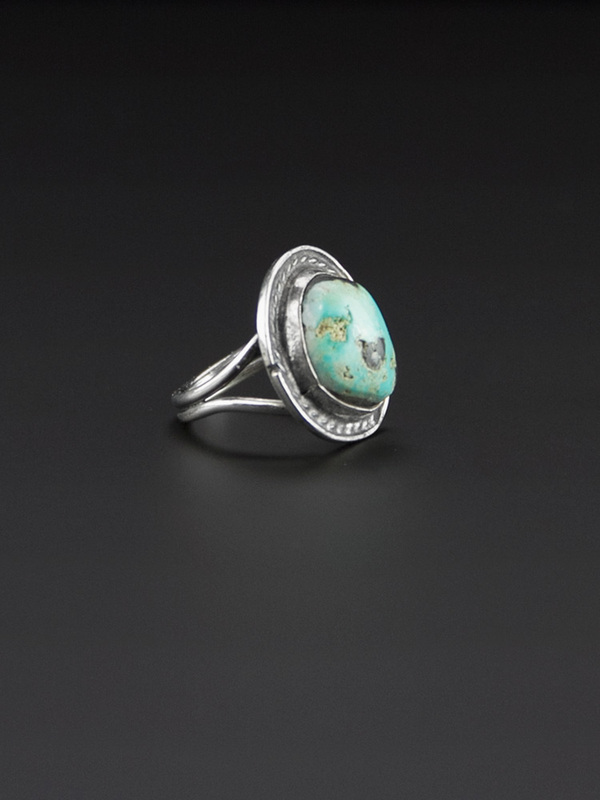 Stunning domed genuine natural turquoise ring, Navajo handcrafted circa 1970's. 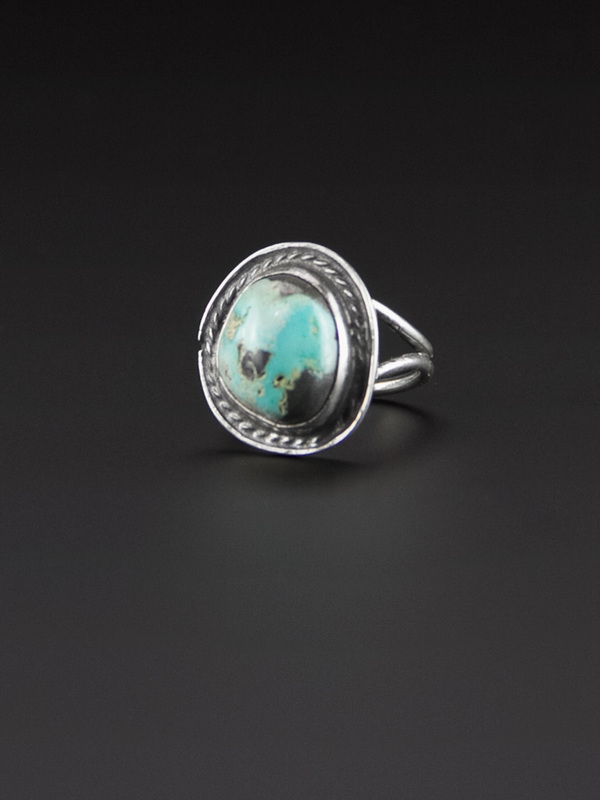 Smooth bezel set turquoise in a rope setting, in popular Native American design. 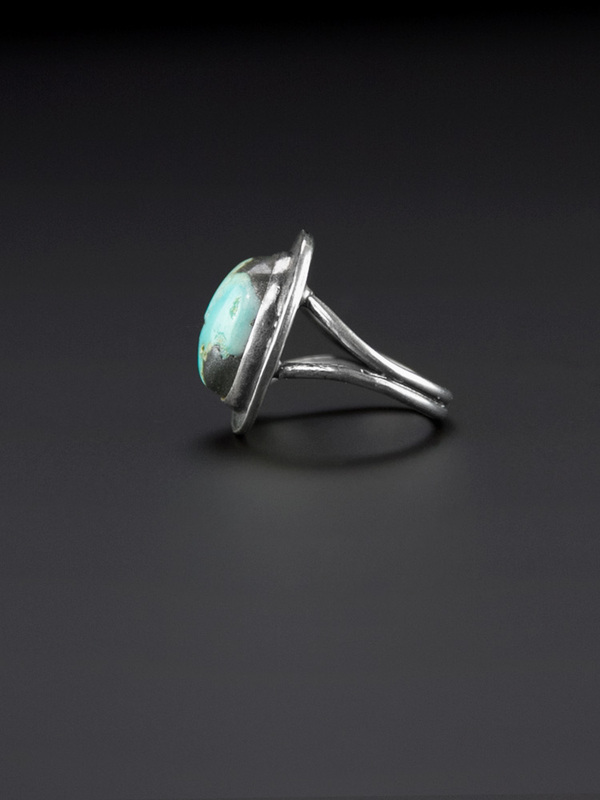 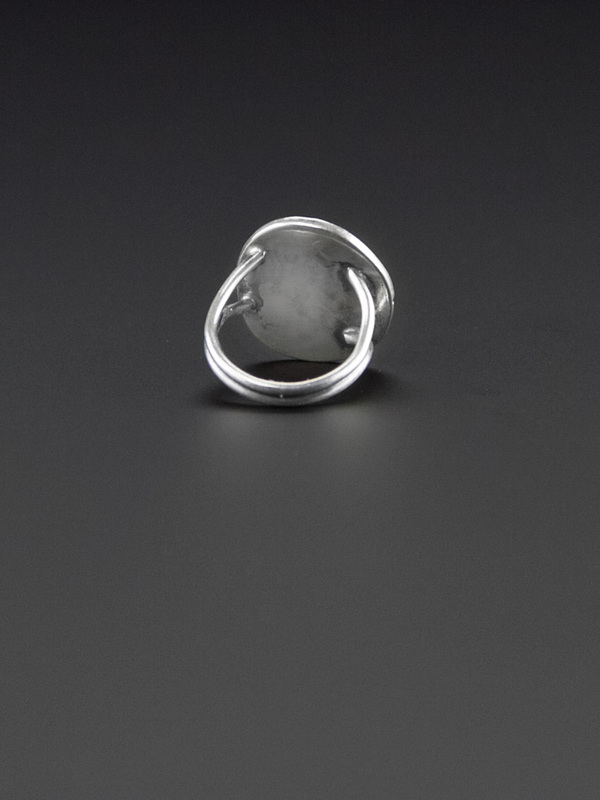 The tuquoise itself is a softly polished dome of light blue stone with a dark chocolate stone matrix showing through, split band shank, gorgeous vintage ring.